George is an Associate Wealth Advisor in the Client Service department at Beacon Pointe Advisors. He is responsible for partnering with Beacon Pointe’s investment and financial planning teams to deliver the firm’s clients a personalized wealth management experience. His duties include asset allocation modeling, investment strategy implementation and portfolio performance reporting. 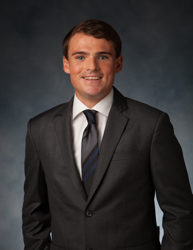 Prior to joining Beacon Pointe in 2014, George worked as a Research Analyst at Global Capital Markets in Irvine, CA. He attended Chapman University where he graduated with a degree in Business Administration with an emphasis in Entrepreneurship. In his free time, George enjoys surfing, mountain biking, traveling and spending time with family and friends.